Ranch Hand Truck Accessories is a Texas-based, family owned and operated business that began in1898. The Ranch Hand logo has been recognized in the truck accessory industry since 1986 as the symbol of quality. In two facilities located in Shiner and Beeville, Texas spanning over 320,000 square feet, Ranch Hand’s 230 employees process over 65,000 pounds of steel each day to manufacture heavy duty, high quality truck accessories. Ranch Hand’s Made in the USA products include Grille Guards, Front End Replacements (Legend Series, Summit Series, Bullnose, and Winch Ready), Back Bumpers, Headache Rack Systems, Bed Rails, Steps, and Toolboxes for Chevy, Ford, GMC, Jeep, Ram, and Toyota trucks and SUVs. 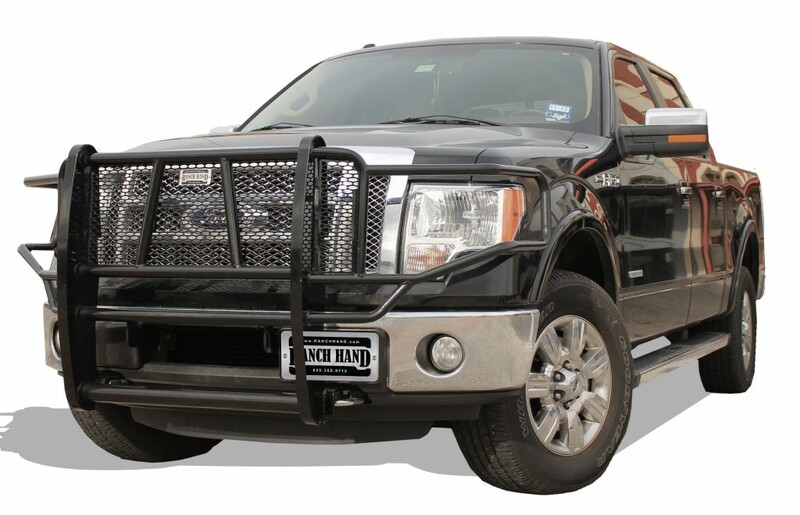 Ranch Hand provides extraordinary strength and protection for your vehicles and peace-of-mind that you have done what you can to protect your most precious cargo. The thickness of the steel and attention to detail in welding for construction of Ranch Hand products hold up better than any other brand. To stand behind these great manufacturing techniques, Ranch Hand warrants its products to be free from defects in workmanship and material for a period of one year from the date of purchase. Grille Guard – Providing outstanding protection, the Legend Grille Guard has a one piece fully welded construction and is frame mounted in four locations for maximum strength and to eliminate vibration.The grille guard is constructed from 12 gauge tubing and has 5/16″ upright thickness and features punched grille inserts specifically designed to match the make and model of the vehicle – no expanded metal used. All Ranch Hand products are finished with a durable black powder coat paint. Most applications allow you to maintain factory tow hooks. These fit Chevrolet, GMC, Ford, Dodge, and Toyota trucks. 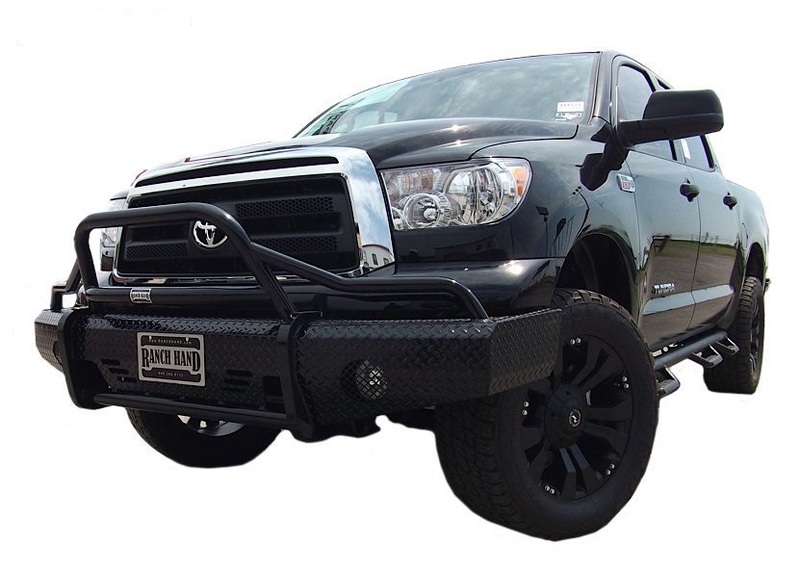 Front Bumper – The Legend Front Bumper’s main body is manufactured from 4″ schedule 40 pipe and diamond plate steel, and the grille guard portion is composed of 12 gauge tubing providing wraparound headlight protection. The punched plate grille insert is specifically designed to match the make and model of the vehicle – no expanded metal used. The Legend Series Front Bumper comes standard with a 2″ receiver and most applications keep tow hooks and factory fog lights. Summit Front Bumper – The Summit Series Front Bumper Replacement still provides superior protection similar to the Legend while offering an alternative style with reduced weight. This bumper is designed and ideal for half-ton trucks. It is frame-mounted and is one-piece fully welded construction. The main body of the bumper is manufactured from diamond plate steel and the grille guard portion provides wraparound headlight protection. The punched plate grille insert is specifically designed to match the make and model of the vehicle – no expanded metal used. Most pre-2014 Summit Series Replacement Bumpers allow for the optional patented H2R (Hidden 2″ Receiver). In some applications, factory fog lights and tow hooks can be retained. 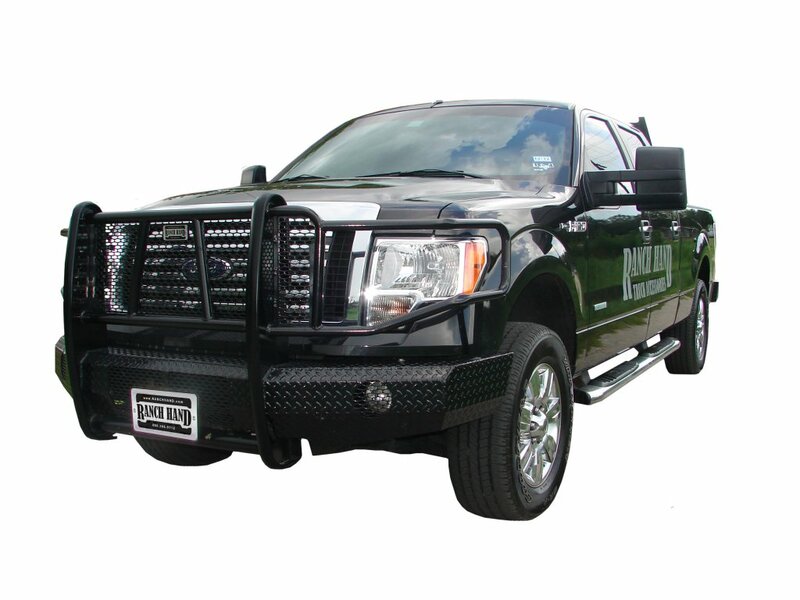 Bullnose Summit Bumper – The Bullnose Summit Front Bumper is designed for the customer who wants the protection of a front end replacement without the grille guard. This model allows for the optional patented H2R (Hidden 2″ Receiver) (on most pre-2014 models). The Bullnose has “off road” rally styling with 12 gauge contoured skirts. Optional lighting is easy to install on the pre-drilled light mounts. Ranch Hand and Precision Audio know the importance of a quality product, as well as happy and safe customers. 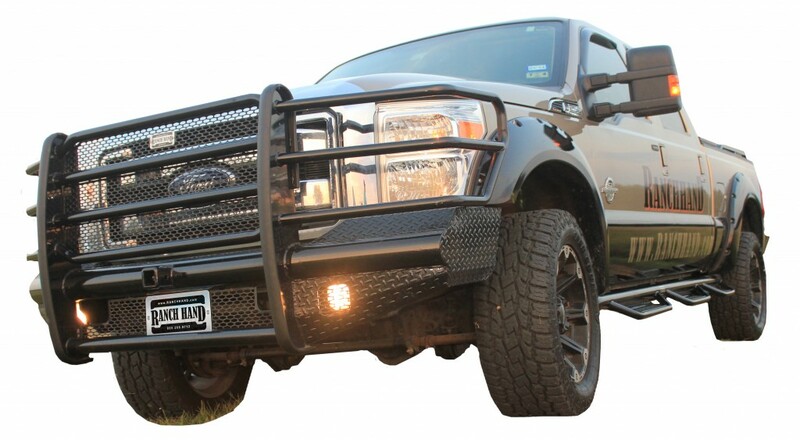 Whether you are taking your kids to school or sports, planning a cross country road trip, hauling your trailer to the event, or running errands around town, choose Ranch Hand and Bainbridge and Thomasville Georgia’s Precision Audio for your truck grill guard and accessory needs.